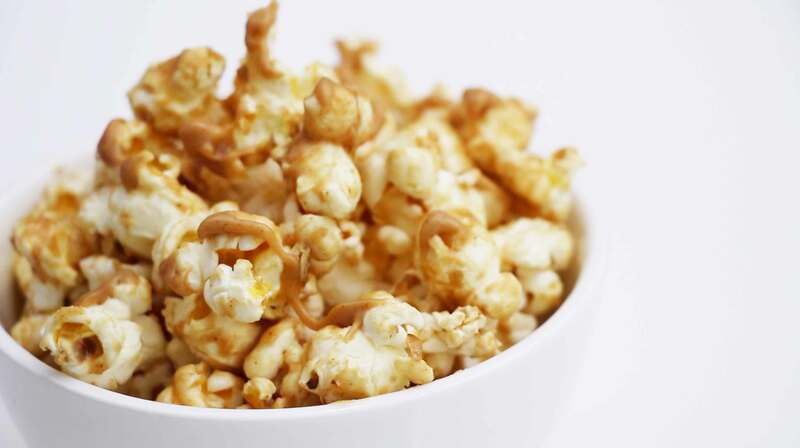 Do you know that a large caramel popcorn bag at the movies can rack up to 1,800 Calories? That’s almost your entire calorie allowance in a day! And most of the time, we tend to have it with a large soft drink. And we’ll just snack and sip away throughout the film. That’s a killer to your waistline and all the effort you put into your workouts. 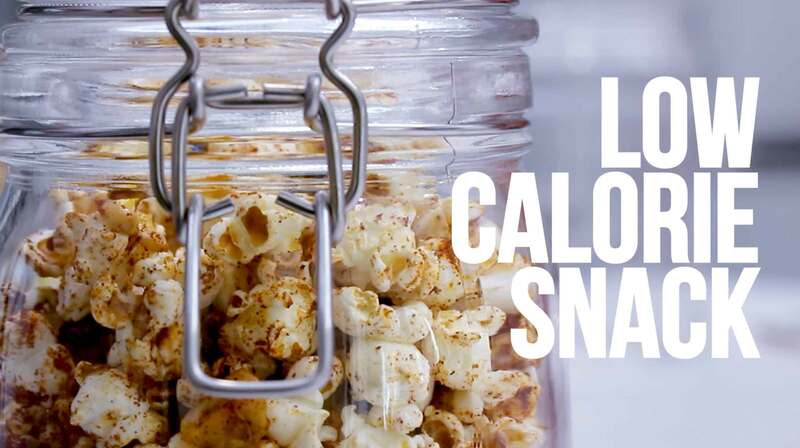 But here’s a good news, homemade popcorn can be a great low calorie snack option. 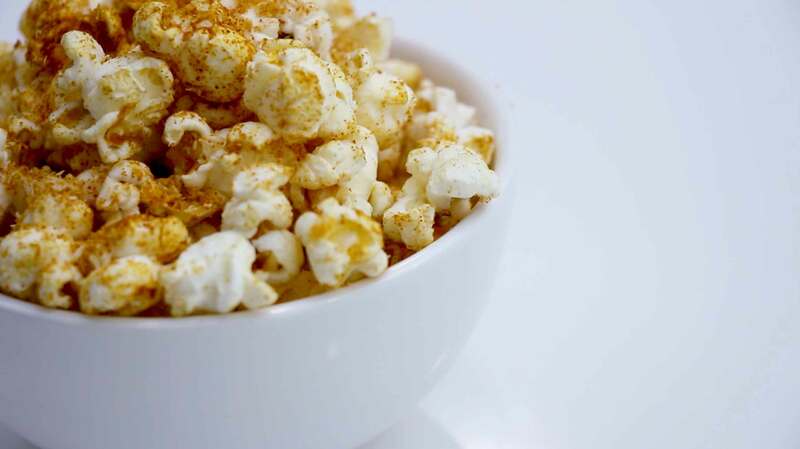 One cup of plain air-popped popcorn only has about 31Cals and you can choose to flavor it, how you like it! Popcorn is a whole grain, which means it’s a good source of dietary fiber. It is also gluten free, sugar free and fat free. It’s definitely a healthier option in comparison to chips, pretzels or nachos, which tends to be higher in sodium and fat. This recipe will make 12 cups. Each cup has 54.5Cals. 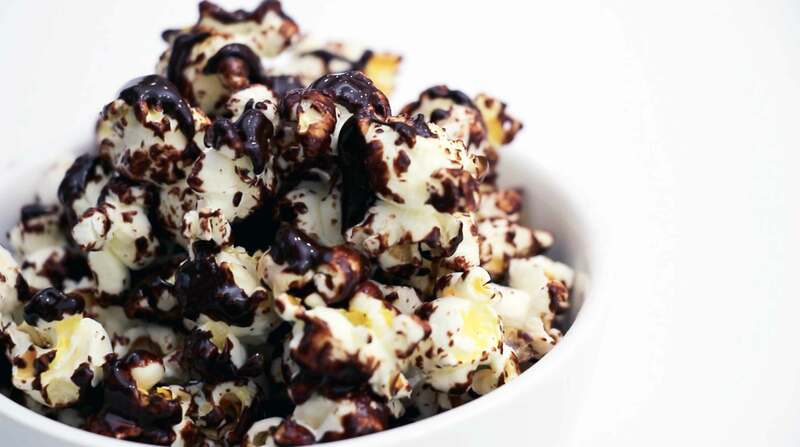 It’s really simple to make stovetop popcorn but follow these steps carefully. Trust me, you’ll get really excited making it. Add 2 tbsps. of oil into a large and deep pot. I used coconut oil. 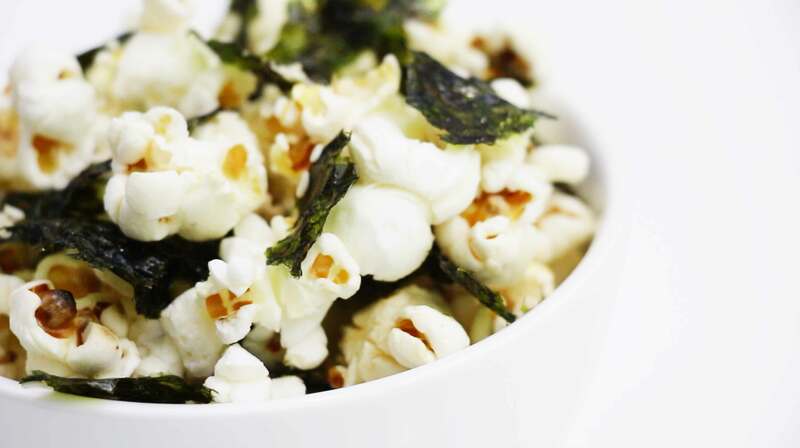 Turn the heat up to high and add 2 – 3 kernels of popcorn. Cover the pot and wait for those kernels to pop. Once they popped, the oil is hot enough. Add in ½ cup of unpopped kernels. Cover and give it a swirl to coat the kernels evenly in hot oil. You’ll start to hear the popcorn popping. Slowly at first…. Then crazy fast!! It’s really exciting!! Give the pot a good shake every now and then to avoid the popcorn from burning. Once the popping has slowed down to nearly a stop, turn off the heat, wait for a few extra seconds for the last few pops, remove the lid and allow the popcorn to cool down. This makes about 12 cups of popcorn. Here’s the fun part. 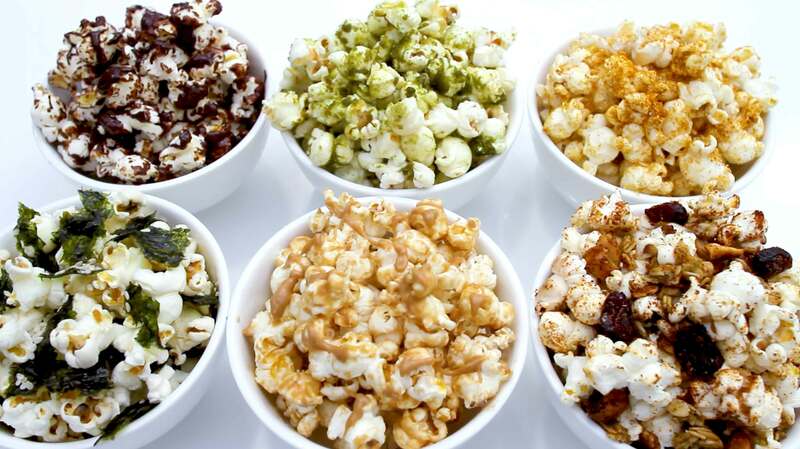 We’re going to flavour our popcorn 6 ways. Each recipe makes 8 cups of popcorn. Add all the ingredients together and mix until well coated. Each cup only has about 87Calories. Add all the ingredients together and mix it up. Each cup has about 115Calories. Add all the ingredients together and mix it up! Each cup has about 85Calories. Add all the ingredients together and mix it up! Each cup has about 70Calories and you’ll be gaining all the benefits from Matcha. Add all the ingredients together and mix it up!Each cup has about 71Calories. Add all the ingredients together and mix it up! This makes a great high energy snack too. Each cup has about 116Calories. 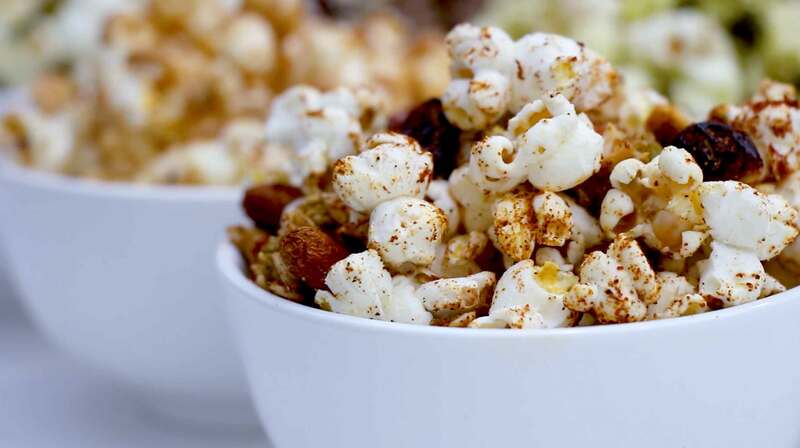 Popcorn CAN be a healthy snack option, so make your own. These are just few of my favourite flavours. 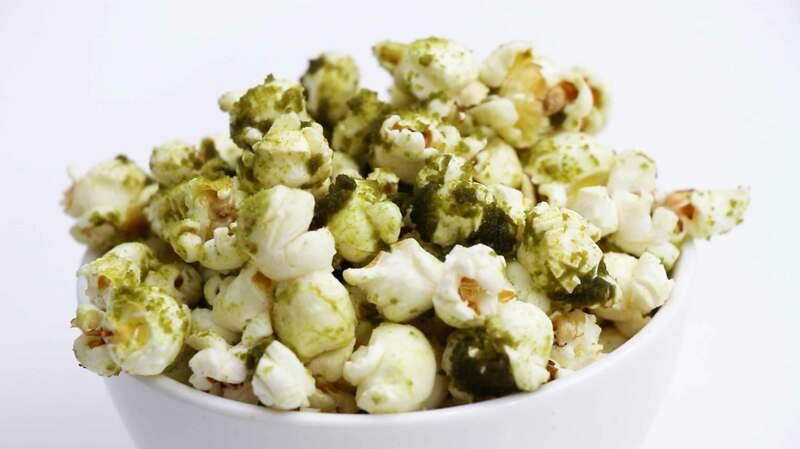 You can flavor your popcorn how YOU like it. Try these recipes, create your own flavours and let me know your favourite in the comments below.